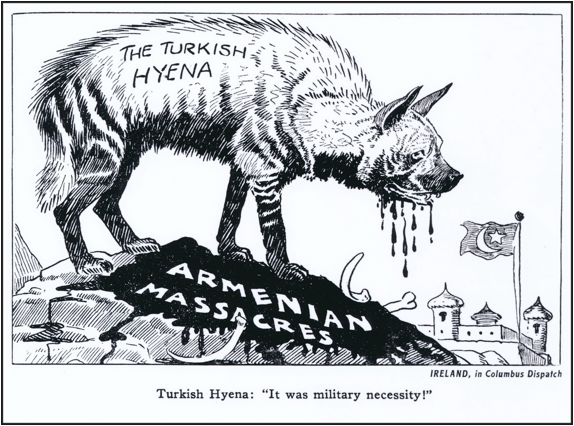 Picture This: American Cartoonists Portray the Destruction of the Armenian Nation by the Turks. 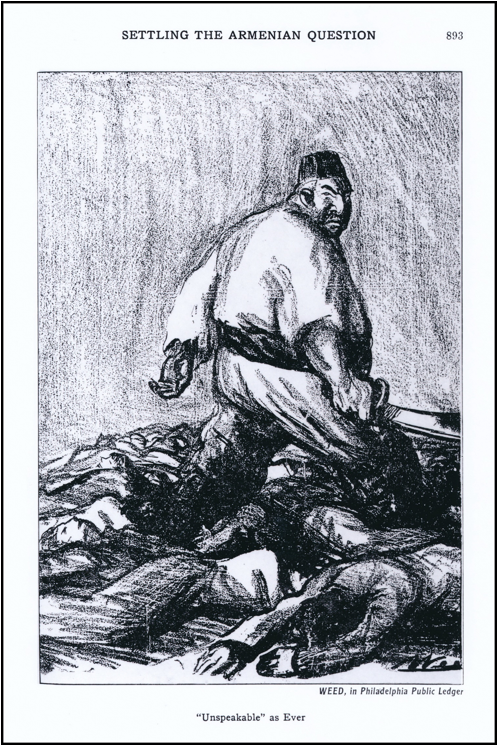 A remarkable cartoon essay on this colossal crime published in December 1915 that tells of the scale of the horrors in no uncertain terms. Many believe that on select occasions “less is more”. 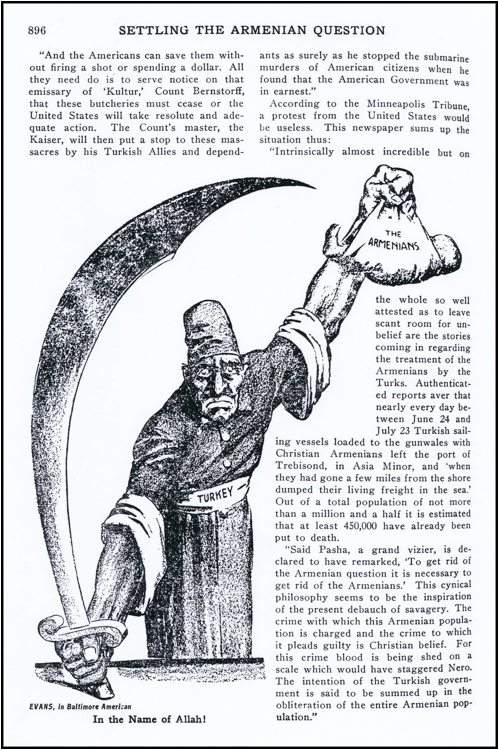 This may well be, especially so far as representations of the Turkish genocide against the Armenians is concerned. 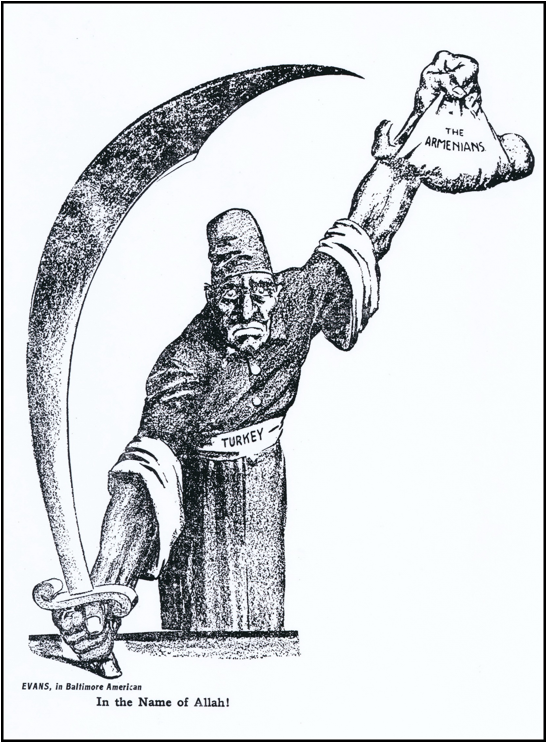 One hardly sees the grim topic of “Murder of a Nation” as one calling for any expression of humor. It can be appreciated, however, that outrage and disgust can be expressed in imagery oftentimes much more effectively than words alone. 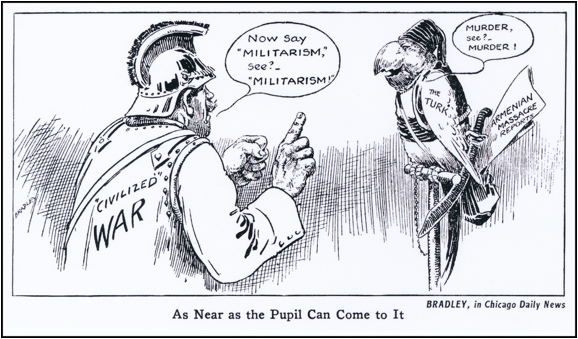 The December 1915 issue of Cartoons Magazine (volume 8 No.6) contains examples of cartoons (the word used here in the historic sense ) effectively getting the sad message across. 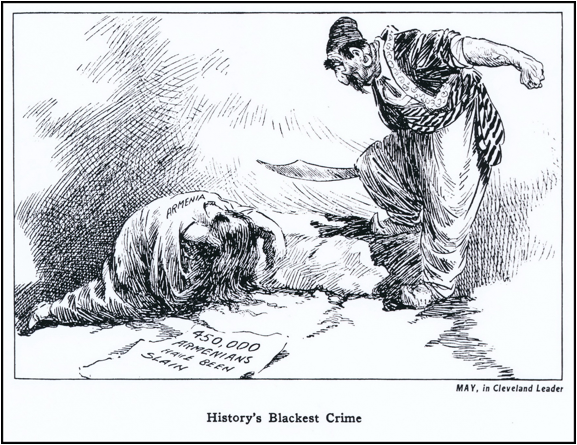 We devoted some space in an October 4, 2014 Groong posting to “Who knew what, when and how…”  Soon after this ongoing crime was brought to the fore in the mass media, American cartoonists rose to the challenge by using their skills to put words from the print media into imagery. 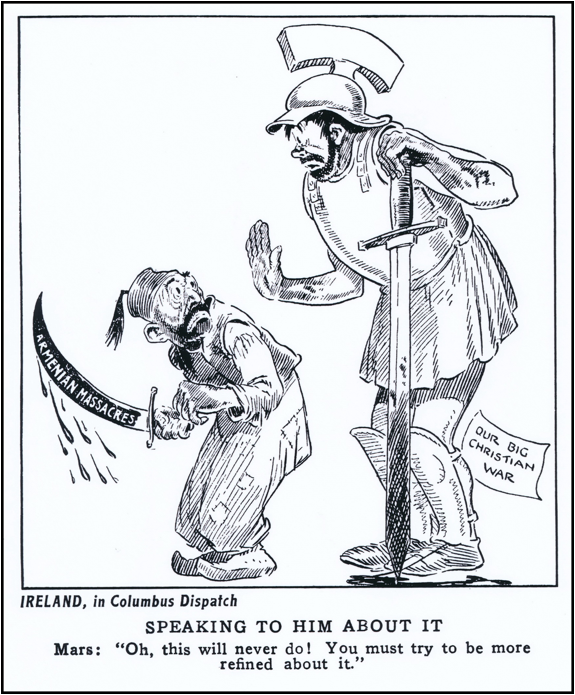 Readers will more than likely agree with us that they were very successful in using cartoons to supplement prose. 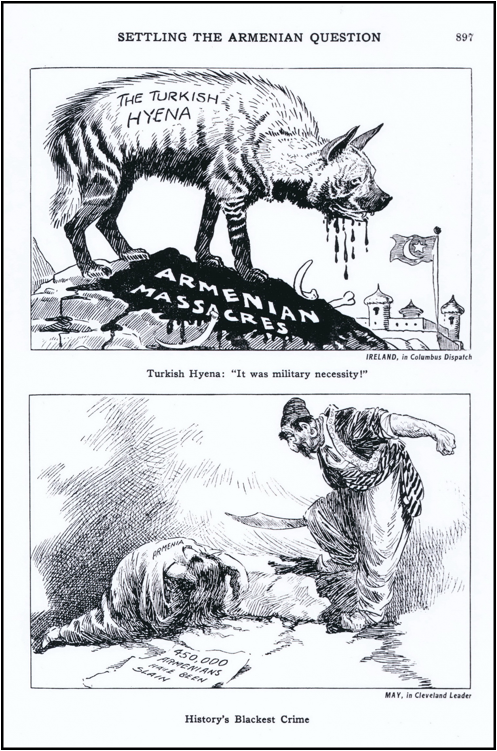 Good quality copies of the specific issue of the Cartoons Magazine containing the article “Settling the Armenian Question” are rare. Also, as luck would have it, the digitized version presented by Google of this volume of the magazine is not well scanned — so much so that the digitized article available on line is virtually useless. 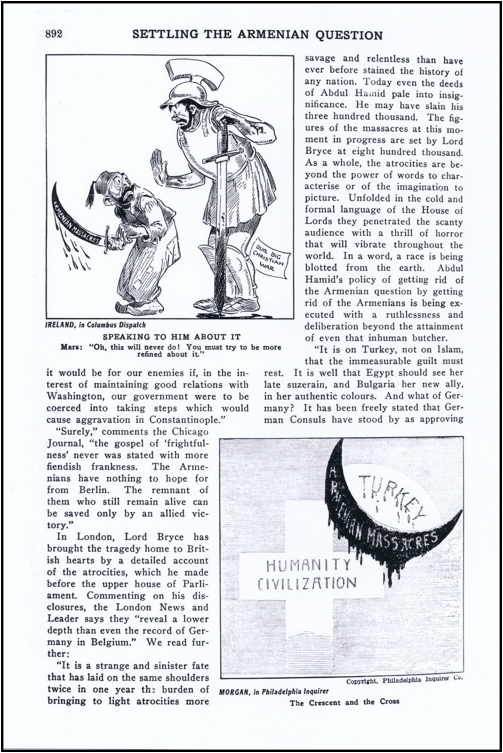 We therefore decided to use this solemn occasion of commemoration to present the whole article by scanning the pages from our copy of the Cartoons Magazine which is in good condition. 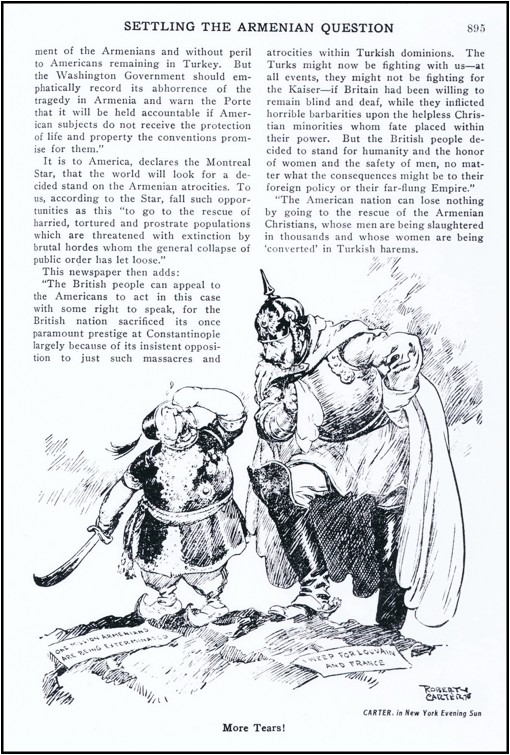 Winston Spencer Churchill, The World Crisis — 1918-1927, The Aftermath (New York: Charles Scribner’s Sons, 1929 pg. 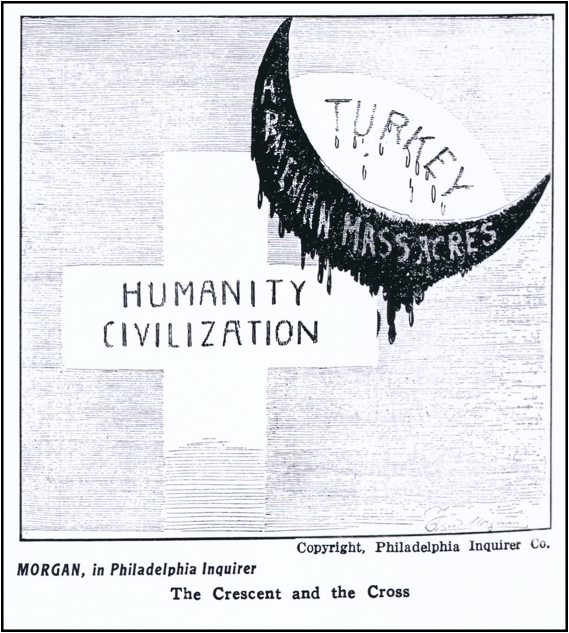 430; The World Crisis, volume IV, The Aftermath 1918-1922 (Bloomsbury, 2015 pg. 277, Bloomsbury Academic, 2015). We need not say much here about Cartoons Magazine. 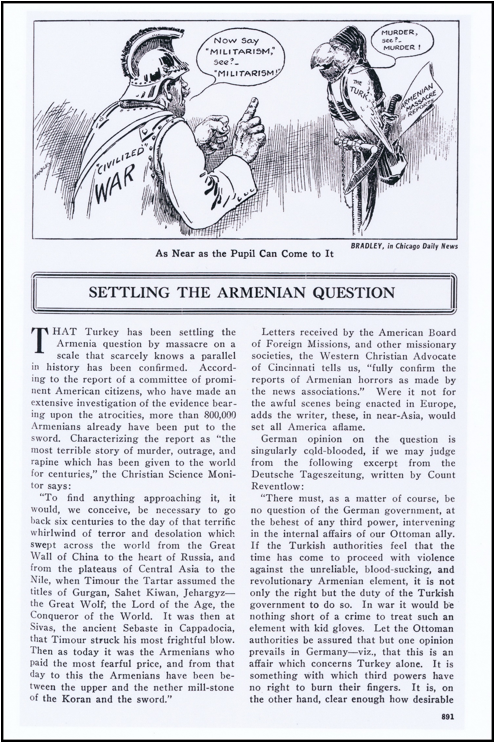 It was a monthly published between June 1913 and June1921 in Chicago and regularly covered a range of topics. It routinely reflected American wit and humor and is full of caricatures that are very insightful and apt. 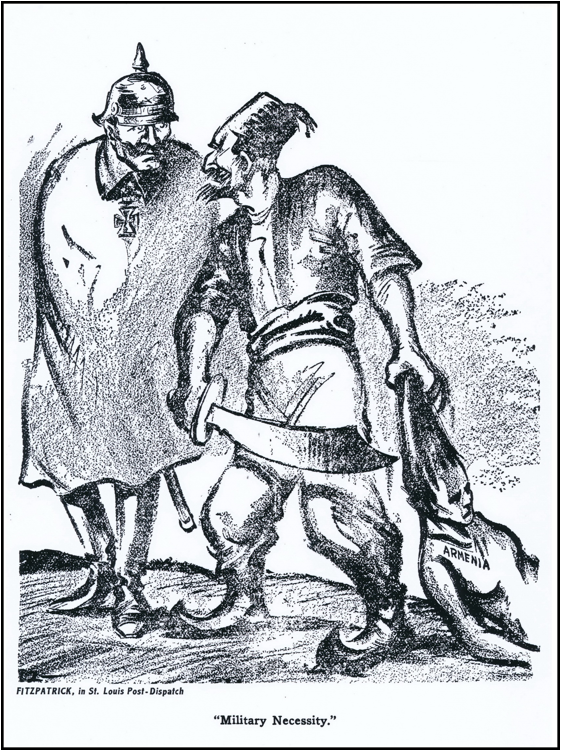 One can read that the word cartoon derives from the Italian word cartone meaning a stout paper. This word gradually in turn led to its use to signify any drawing on paper. 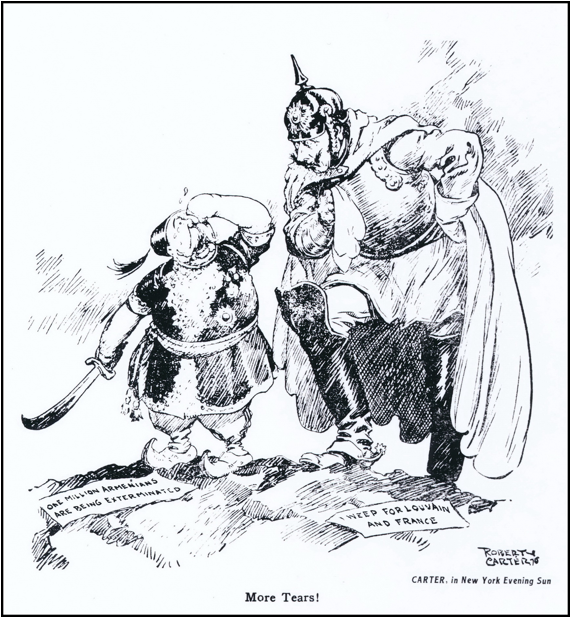 The Oxford English dictionary offers the view that a cartoon may be a humorous or topical drawing relating to current events. 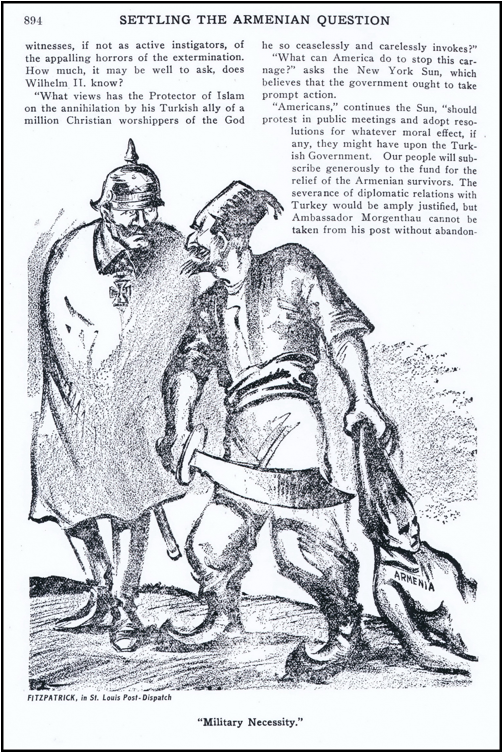 This is certainly the context of the ‘cartoons’ presented in this posting.